1,644 sq ft; lot: 13068 sq ft - MLS# 1617139 Courtesy of Keefe Real Estate, Inc. Looking for a home in the Big Foot Ridge Subdivision? This 4 bedroom, 2 bath tri-level is perfect for a large family that is very involved with sports and extra activities at school. This home backs up to Big Foot High School, so no more chasing after the kids or wondering what time you were supposed to pick them up. 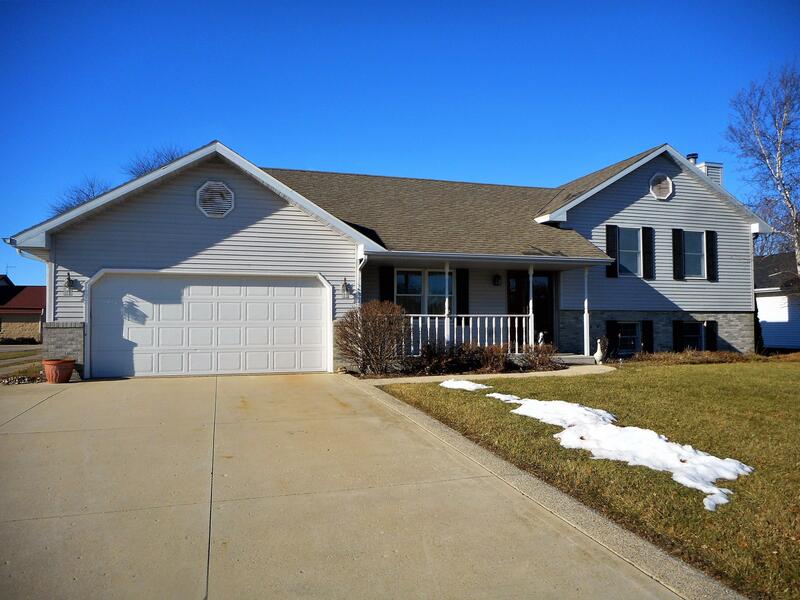 The home features hardwood floors, vaulted ceilings, an inviting gas fireplace, large lower level family room, 2 car garage, beautiful patio off the rear of the home with views of the athletic fields of Big Foot High School so you won't miss a game or a track and field event. The home is in need of some minor TLC and is being sold ''as is''.